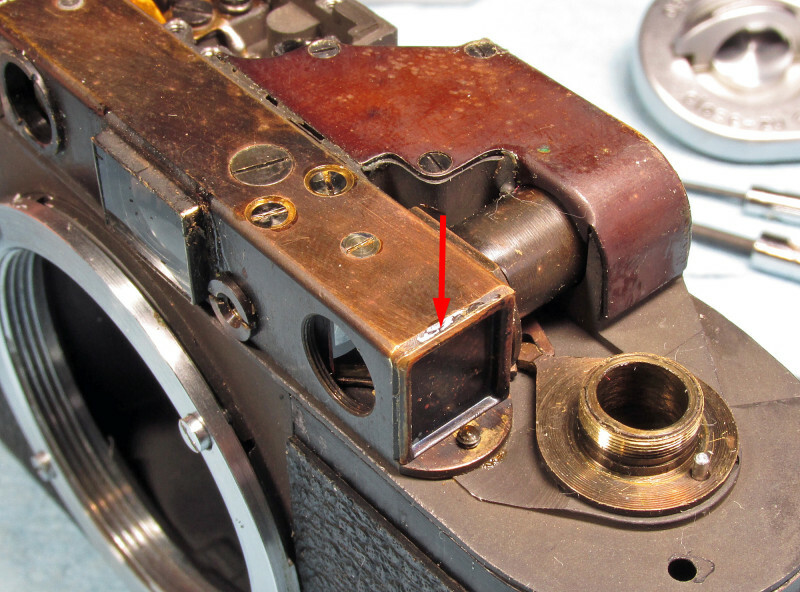 Leica IIIf Beamsplitter Replace | TunnelBlog! I’ve given my 1953 Leica IIIf “red dial” a CLA, or Clean Lube and Adjust and now I need to replace the half-mirror, or beamsplitter in the rangefinder. The beamsplitter gives the double image that moves back and forth as you focus the lens until the two images become one, then it is focused. On older cameras, the beamsplitter, which is a half-mirror, or partially silvered so it is transparent as well as reflective, looses some it’s reflectiveness and is hard to focus. After getting the top off (see the procedure here) I was able to get to the rangefinder. pry up the focus cam, it comes up quite easily. 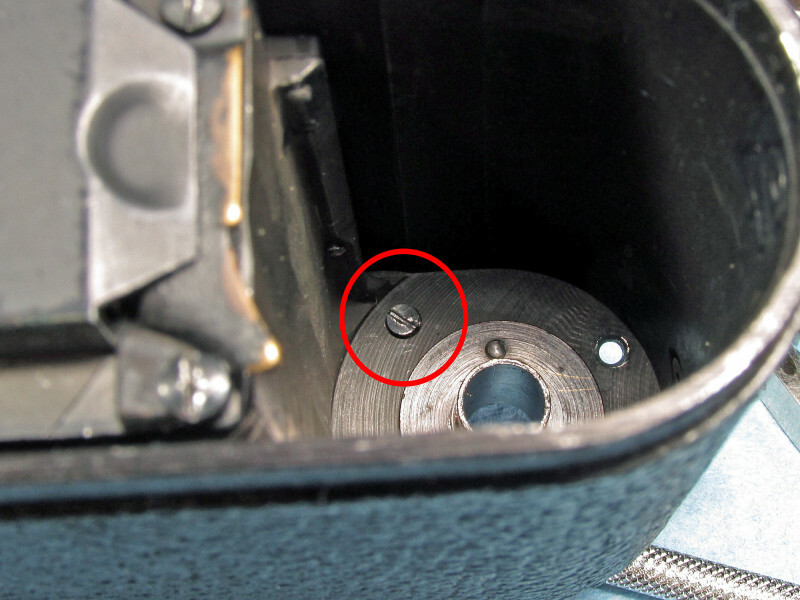 there is a screw from inside the film chamber protruding up (circled) loosen it. loosen but don’t remove the screw holding the RF housing. just enough for the mirror housing to clear the screw. here the beamsplitter housing is out, take note of how it goes back in. 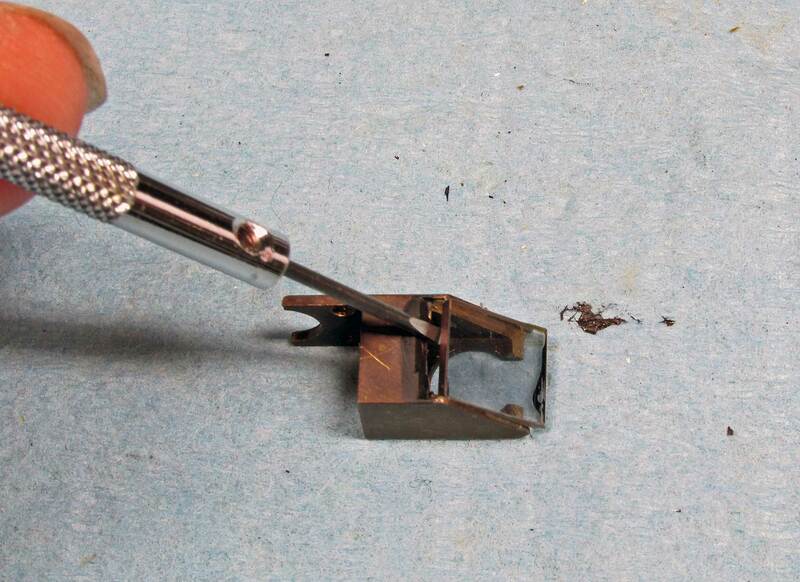 the half-mirror beamsplitter is glued on with lacquer(?) simply pry it off. I got my beamsplitter pre-cut from a fellow on eBay (nobbysparrow) and it was only $10. I say only because it is way worth it, not buying some stock and trying to cut it myself. let alone send it off to have it professionally done for around $110 or more. Plus it is a modern process (the silvering) from Japan and less likely to rub off and fade through time. 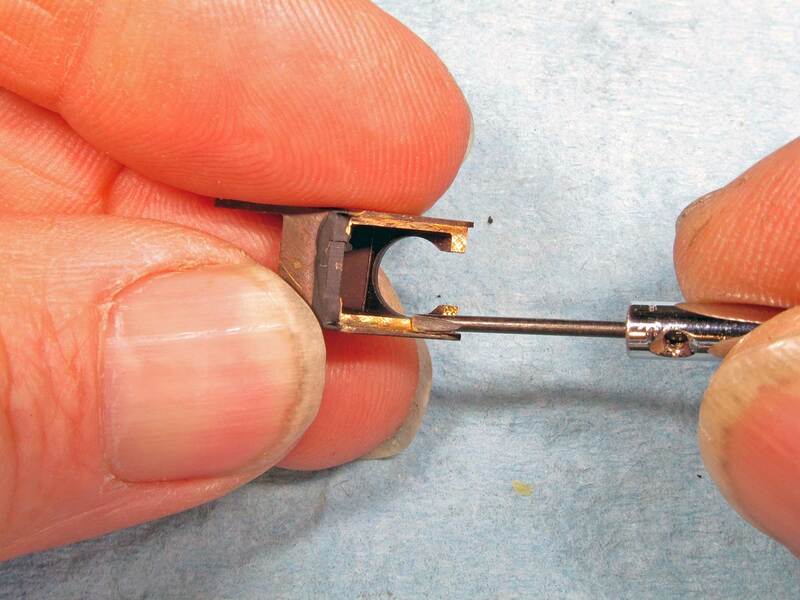 gently clean the old glue from the housing. be careful, it is soft brass. here is the new beamsplitter half-mirror glued onto the housing. I used Elmer’s white glue. never use CA, or super glue as the fumes fog lenses and mirrors permanently. 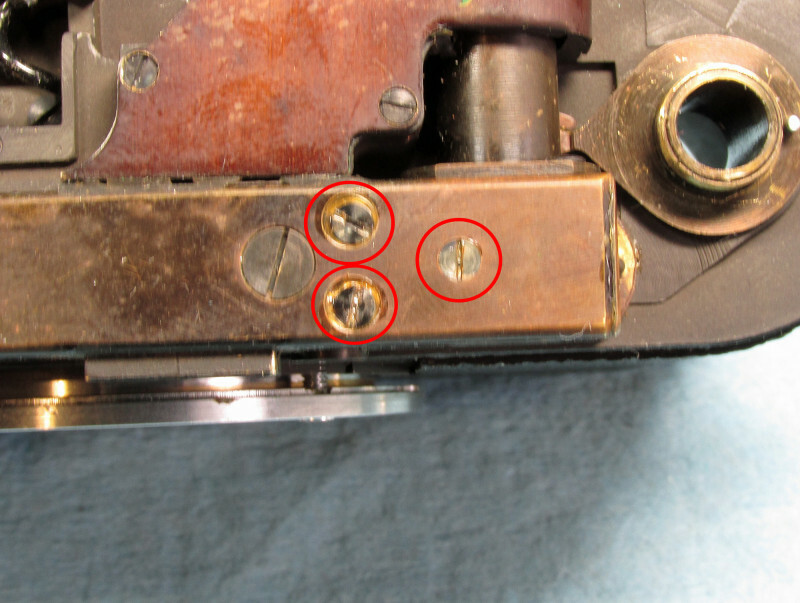 I have the IIa and II repairs in my Flickr albums. https://www.flickr.com/photos/rwrede/collections/72157629808351690/ The older II is much easier to work on or should I say harder to mess up. The IIa is fairly easy to get at enough to clean the important stuff but much harder to replace a strap. 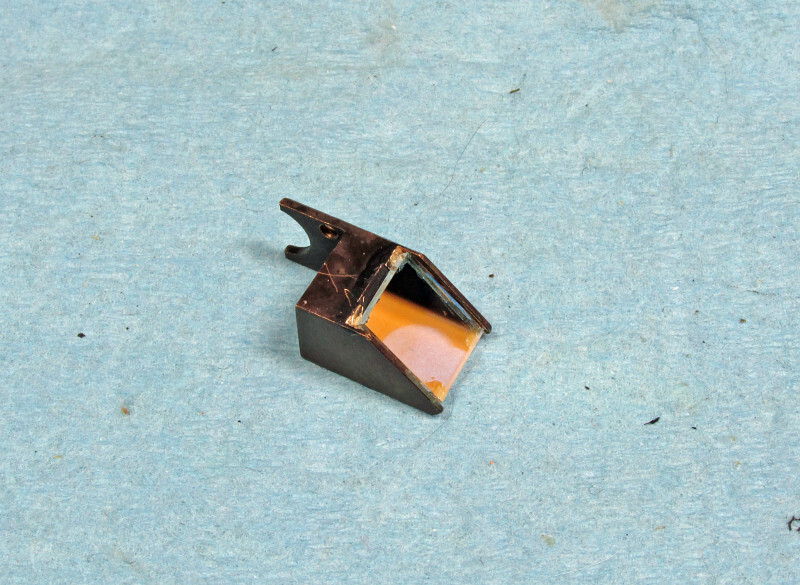 the top plate removal and a cleaning of whats inside is usually enough. I was following your advices for cleaning and adjusting the telemeter of my Leica IIIf I have bought last year. ¿Do you know if the end cap, at the end of the telemeter, is really important?.I coudn´t find it when I oponed the camera; perhaps it was lossen in a previous repair procces. I see very far (one to the other) the two images in the rangefinder. I can´t get the superposition moving the prism of the telemeter by pushing the cam behind the lens. ¿Some advice in order to correct this problem? ¡Great work and job in your blog! Thanks a lot for your answer. I will follow your recommendations. Thanks again for give us your time and your advices. Wow, this is perfect but I have one question. I am pretty handy and have worked on similar projects before so I am certain that I could do this but I don’t know what size screwdrivers I will need. I have the beamsplitter on its way and would like to have the correct tools when it arrives. What size or brand tools do you use for this? I recognize the importance of having the right tool for the job and would hate to damage a screw or the finish of my camera. 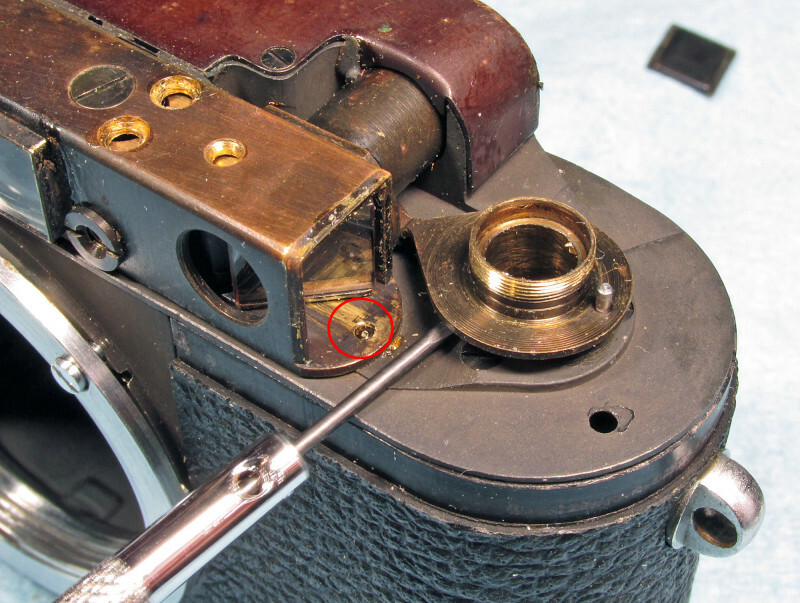 any brand I believe (although I wish I had Felo or Wiha from Germany) I used my 2mm for most of the removal the shutter speed dial screw is probably a 1mm or 1.2mm as well as the screw for the Horizontal adjust in the RF. Hey, I had the same but my focus got it wrong. I adjusted to infinity you had this problem? Any advice on removing the set-screws on the older “black dial” exposure dial? Well, leica is one of the best company ever, I used many products of leica great work and review man! Great write up. 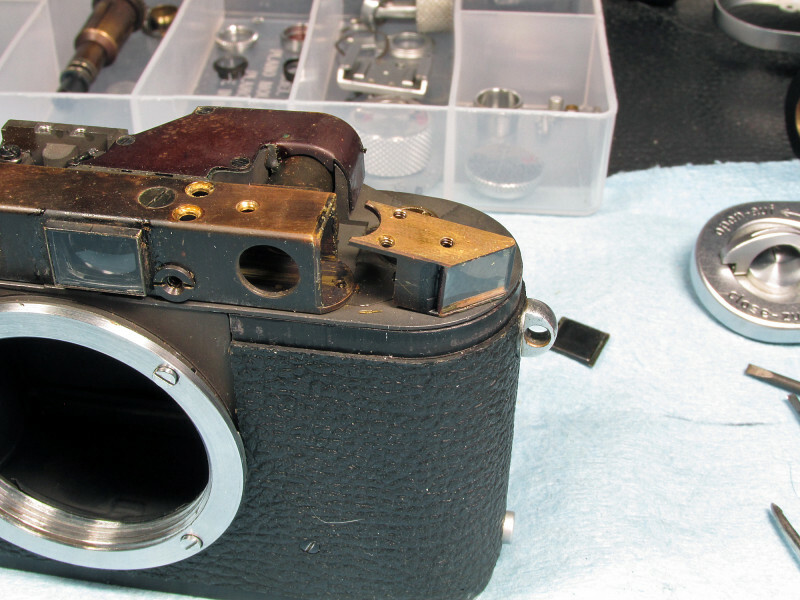 Question on diagnosing a worn or corroded beamsplitter on a circa 1936 Leica III. When I look through the rangefinder, it\’s a bit hazy and dim. If I point it to a light bulb I can clearly focus but anything else besides a bright light, it\’s very hard to focus with little contrast. Is that a sign of a worn beam splitter?